The Quilt Lovers Blog a mini journal about quilting projects. 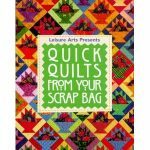 It includes comments and questions from other quilters and the suggested solutions. Continue reading "Applique Techniques and Tips "
Quilter's Block-What I Do When My Brain Will Not Be Creative. I like to design my own unique quilts, but sometimes I suffer quilter's block just as I suffer writer's block when writing ideas refuse to materialize. 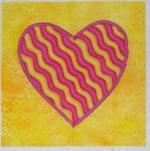 Continue reading "Quilter's Block-What I Do When My Brain Will Not Be Creative." Continue reading "Quilt Care is a must so that your quilt will last as long as it should"
You will want to take this to an industrial size washer and dryer! I have made a number of these and they REALLY shred when you wash them the first time. 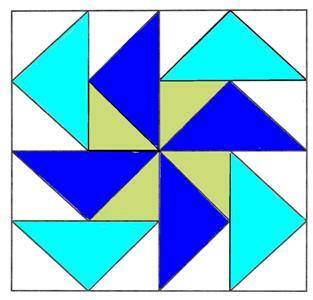 Continue reading "Do NOT use your home washer and dryer...."
Continue reading "Dutchmans Puzzle Quilt Block, learn how with my free block pattern lessons"
Why did you use two layers of flannel? Could you just use one layer? How about using fleece, would that work as well? Continue reading "The Stack n Whack Quilt is a great beginners project, it is so much fun to teach"
Continue reading "maple leaf quilt - Want a Pattern"
When my older daughter went off to college, I made a quilt for her to take with her. So when my younger daughter went to college she wanted one too. 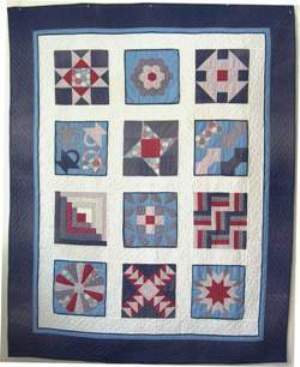 Continue reading "Recycled (rag) denim quilt"
Continue reading "Want a Pattern"
Continue reading "contacting you - Sampler Hanging Quilt"
Learn the Rules of Quilting, when to break them, how to fudge if blocks aren't perfect. 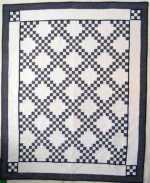 Continue reading "quilt-lovers-guide.com - Creative Quilting Techniques and Quilter Resources"
Continue reading "Sashing and Borders brings your Quilt together"
Continue reading "Visit My Quilt Gallery for New Quilting Ideas Through Quilting Pictures!!!" Continue reading "quilt of the month - See the Quilt of the Month voted for by visitors to my site"
Continue reading "Quilting Classes I Teach, Quilting Retreats and Sampler Quilt Instructions"
Continue reading "A Quilt Sleeve assists with displaying your Quilt as a wall hanging"
Continue reading "The Quilt Studio - see pictures of my Open House and and the Retreat Suite"
Continue reading "Quilting and Binding the last steps to completion of T Shirt Quilt"
Continue reading "Quilting Books a great way to learn have fun and be creative"
Continue reading "Quilting Cruises learn to quilt, take a holiday, relax and have fun"
Continue reading "Quilt Borders frame your quilt much like a picture frame "
Continue reading "Quilting Ebook - An answer to 101 Quilting Challenges. Get one now"
A Professionals Quilting experience with tips and techniques from a pro..
Continue reading "A Professionals Quilting experience with tips and techniques from a pro.."
Quilting Faqs answered. A professional quilter answers your questions and demystifies those nagging problems. Continue reading "Quilting FAQs for the newbie quilter - Frequently asked question"
Continue reading "Quilting Glossary of Terms a really useful reference for quilters"
Continue reading "Quilting resources and tools that every Quilter needs for quilting quilt"
Quilting Retreat August 2009 on the Canadian Sunshine Coast - AWESOME!! 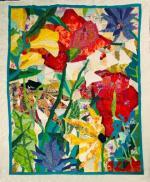 Continue reading "Quilting Retreat August 2009 on the Canadian Sunshine Coast - AWESOME!!" Quilting Retreat on the Canadian Sunshine Coast - AWESOME!! Continue reading "Quilting Retreat on the Canadian Sunshine Coast - AWESOME!!" 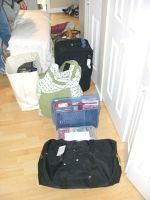 Continue reading "Quilting Retreat July 2009 on the Canadian Sunshine Coast - AWESOME!!" Continue reading "Quilting Retreat Mar12009 on the Canadian Sunshine Coast - AWESOME!!" Continue reading "Quilting Retreat Mar 2008 on the Canadian Sunshine Coast - AWESOME!!" Quilting Retreat May 2009 on the Canadian Sunshine Coast - AWESOME! Quilting Retreat May2009 on the Canadian Sunshine Coast - AWESOME!! 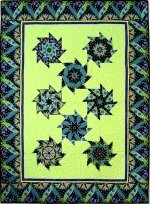 Continue reading "Quilting Retreat May 2009 on the Canadian Sunshine Coast - AWESOME!" Quilting Retreat on the Canadian Sunshine Coast - AWESOME!!! Continue reading "Quilting Retreat on the Canadian Sunshine Coast - AWESOME!!!" 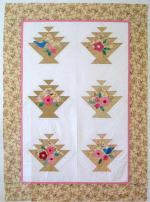 Testimonials by my Clients on the fun and quilting they achieved at my quilt retreats!! Continue reading "My quilt retreat testimonials from clients about the fun they had"
Continue reading "Quilting Retreats on the Canadian Sunshine Coast - AWESOME!!!" Quilting Retreat Oct2008 on the Canadian Sunshine Coast - AWESOME!! Continue reading "Quilting Retreat Oct2008 on the Canadian Sunshine Coast - AWESOME!!" Continue reading "Important Quilting Rules I'll show you when and how to break them!!" 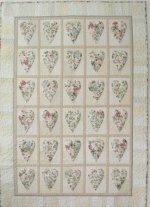 Continue reading "Quilting Tips - How to become a better quilter for your patchwork quilt"
Continue reading "Quilting keeps the layers of materials together"
Continue reading "quilts for sale, buy a quilt, baby quilt for sale"
Continue reading "The Romantic Hearts Quilt I teach classes how to make this beautiful quilt"